Businesses, small or big, need to include security services in their premises and acquiring an advanced panel PC system would only suffice the requirement. But, why not use commercial-grade computers? It can be cheaper though. Well, practically, yes. Commercial computers may be cheaper when compared to industrial-grade computers but commercial-grade PCs have limitations. So, what makes a 22” rugged computer panels different? The answer is simple. It is built to endure harsh environment with a wide temperature range. Read on and learn why you should consider buying such kind of technology for your business security services. How Can A 22” Panel PC System Support Security Services? Whilst all the businesses are improving their efforts towards strengthening the business, there is also a dire need to protect their businesses from any security incident. From securing the entire business area, surveillance to data security, having an S22 embedded touch panel system can make you feel safe. It comes with a 1920 x 1080 resolution powered by Intel Bay Trail-M/D quad core processor. Not only that, rugged touch panels can also be utilised in other security service functions and operations. Hence, it provides clear images and video footages. Security is an integral part of all businesses and services. Even if you belong to the most advanced and well-developed countries, security is always a major issue. So, whether you install a simple CCTV system or a comprehensive security system, an advanced computing system is your resource for end-to-end security solutions. 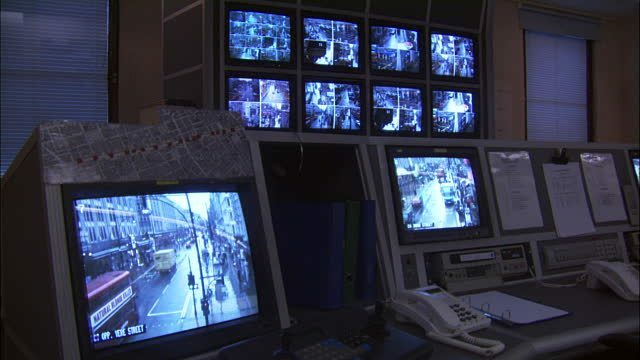 Setting up an effective security and surveillance system requires a group of professionals who deploys a high-quality and sophisticated system. Characteristics of security and surveillance system must not be detectable, captures clear sounds, images and videos, and collect all information using specific methodology. Upon looking at these, there is no question a 22” rugged touch panel system can perform all functions. Aside from its basic features, this kind of computing technology is also capable of gathering and storing usable data for security purposes. Also, take note that S22 touch panels are designed to perform specific functions over a wide temperature range. As security and surveillance system must operate 24/7, panel PCs can definitely withstand such tough applications. To complete the security operation, full body scanning machines are also needed. It has the capability to scan and detect object or tools that are restricted to bring inside your premises without removing one’s clothes. Again, integrating an advanced computing system can maximise your security efforts such as monitoring and analysing the subject for security purposes. Think ahead. This can be an overwhelming investment, but you can always ensure that your asset is protected anytime. You must need to consider that running a business it not just about earning, it is also about on how you can endure and keep up with its forthcoming challenges. So, start making a call now and look for an expert panel PC manufacturer.